Extreme weather conditions always have a negative impact on your skin and winter is not exempted. During winter, the skin tends to dry out and this is mainly due to the limited amount of moisture present in the air. Therefore, moisture from the skin tends to evaporate into the air resulting in a dry skin that can in turn lead to skin breakouts, damages e.g. itching and irritation. 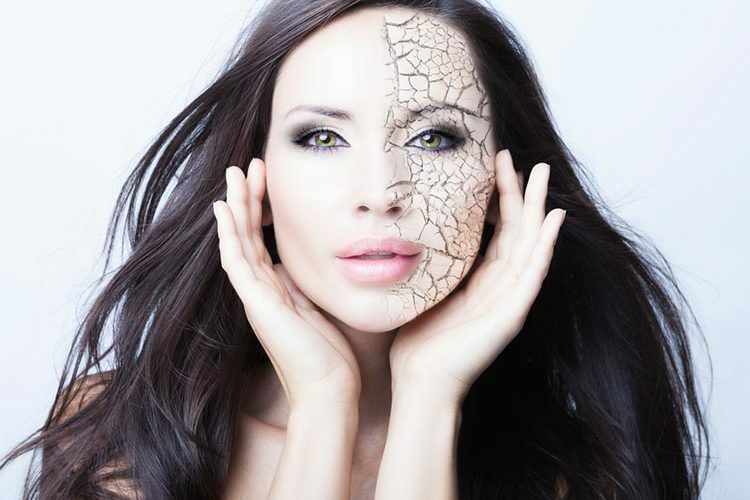 To be able to withstand the extreme weather, it is important to know how to prevent dry skin. Ensuring your skin is well taken care of should be the first step in ensuring you get rid of dry skin in winter. Here is a routine that you can use to protect your skin from drying out. Hot baths, showers or hot water is ill advised if washing your face. No matter how much you want to wash your face with some hot water after a long day out, do not do it. Instead, use lukewarm water to clean your face as it preserves the oils in the skin while hot water gets rid of them. Oils in the skin have a degree of moisture and this helps keep your skin moisturized in the largest part of the day. During winter, you are advised to apply a moisturizer immediately you wash your skin. This is because it seals most of the moisture in the skin preventing its escape into the atmosphere. Ensure you jeep up the routine i.e. every time you wash, ensure you apply a moisturizer and your skin will remain as supple and glowing as it does in the other seasons. Ensure that the moisturizer in use has no ingredients that are petroleum based in it. This is because they tend to dry out the skin even further. Oil based moisturizers are advised for use during winter. This is a key tip on how to prevent dry skin. Skin is damaged by excessive dry winds and the low temperatures experienced in winter. Therefore, scarves, gloves and heavy jackets should be worn during this period especially when going out. In addition, incorporate sunscreen and other protective cosmetics or products in winter as you would during summer. The skin should always be protected no matter what. Apart from using moisturizers, ensure that you avoid using heating systems that work by drying out the air inside your house. Instead, use humidifiers and at the same time drink lots of water. Humidifiers add moisture to the air inside the house and drinking water increase the amount of fluids in the body. Hot drinks are also advised but their intake should be minimal compared to the amount of water taken on a daily basis. Occasionally, ensure that you exfoliate your skin by scrubbing away dead skin cells. Dead cells act and prevent the skin from refreshing and revitalizing its capabilities. Use chemicals that are not too harsh on your skin and ensure you moisturize after exfoliating keeping the skin moisturized and hydrated. These are some of the routine components that should be left out until its summer once more. This is because cleansers are drying agents and dry the skin even more when exposed to cold and low temperatures. If it is necessary to use a cleanser, avoid those that contain salicylic and glycolic acids. Instead, use cleansers that have prominent hydrating capabilities or are referred to as moisturizing cleansers. If not cleanse and immediately hydrate using water then a moisturizer each time. Toners are essential in holding moisture to the skin as well. Sensitive skin operates similarly and the routine issued above can be used as well. The only issue is that sensitive skin especially in winter tends to be extra sensitive and care must be exercised. You can use mild moisturizers, wash oftenly and regularly to avoid drying out and avoid any harsh component such as an irritant. In addition, when cleansing or exfoliating, use suitable and mild chemicals or just prepare homemade mixtures that are friendlier and use. Similarly, ensure you moisturize with every single step. Winter is a season that cannot be by passed and say that I won’t be here for winter so nothing matters. Therefore, it is your responsibility to take care of your skin with each step. Follow a suitable routine that is destined to do so since it is quite difficult to counteract the effects of nature. Ensure that you retain your skin looking much more youthful, glowing and radiant even during the winter. Nothing is impossible to achieve and achieving a glowing, even toned and radiant skin complexion in winter has been made simple through the above tips and routine processes. Why Raccoon Removal Is A Must For You?